My last flower of this week is not one from our garden, though I look forward to the tulips opening outside our studio. Appropriately, as we end the week, these bought tulips are at the end of their cycle. They are no less beautiful for their age though, and I am often attracted by dying flowers with their colour changes and withering patterns. 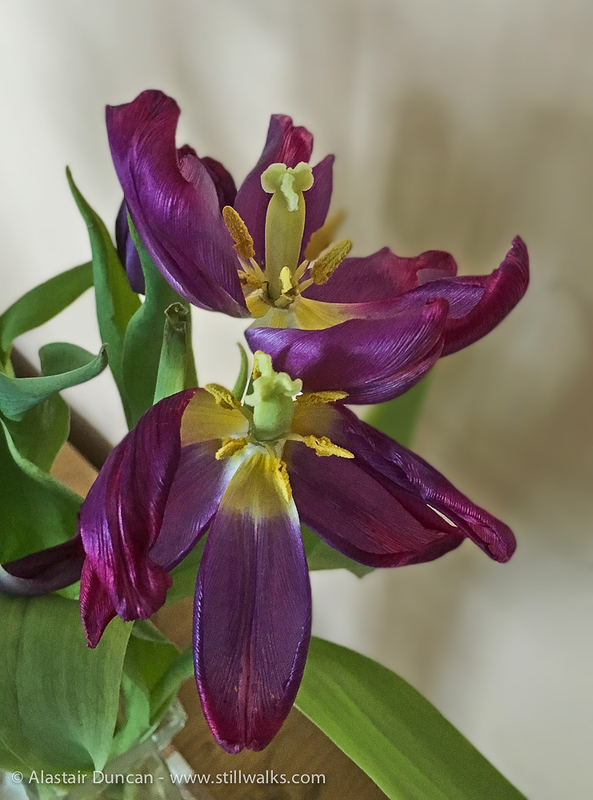 Posted in Flowers, Nature, Photography, Reviewing the Week and tagged bluebells, Broom, colour, crocus, daffodils, flowers, garden, iPhonography, photography, Spring, Tulips.